Sickle Cell Anemia is a blood disorder affecting nearly 100,000 Americans each year. There are many symptoms and side effects associated with the disease like anemia, chronic infections, vision problems, and pain. When it comes to pain, most people don’t realize the amount of discomfort and swelling that is commonly related to sickle cell anemia. 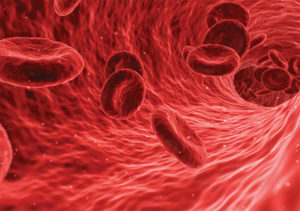 Our red blood cells are generally rounded and flexible, which allows them to easily flow through the vessels. Ordinarily, we replace our red blood cells every 100 days, but with sickle cell, the red blood cells are shaped like sickles or crescent moons and die off about every 15 days. These irregularities cause the oddly shaped red blood cells to break and get stuck in the vessels and arteries, which can cause inflammation, joint damage, vascular damage, and blockages. The hands and feet are often affected by these blockages and can result in severe painful swelling. Pain from the blockages can also cause ulcers, chest pain, migraines, bone pain, pain in the extremities and more. Many individuals with sickle cell anemia have chronic, on-going, painful episodes that need therapeutic care, along with professional medical pain management. Korunda Pain Management Center is a state of the art facility that specializes in the treatment of acute and chronic pain management. They provide the utmost quality care for their patients and custom-tailor pain management needs. Dr. Perez uses a holistic and comprehensive approach to diagnose and treat painful conditions. With his background in physical medicine and rehabilitation, he performs a detailed physical exam and image review to get to the root of the issue. His treatment goal is to reduce pain and help his patients achieve maximal restoration of their functional status. Utilizing ultrasound or fluoroscopic guidance, Dr. Perez treats a broad spectrum of pain syndromes including but not limited to sickle cell anemia, neck and back pain, sciatica, herniated discs, arthritis, sacroiliac pain, joint pain, myofascial pain, neuropathy, complex regional pain syndrome, cancer-related pain, migraines, and spasticity. Dr. Perez has a strong focus on sports and musculoskeletal injuries. Commonly performed procedures include epidural steroid injections, facet joint blocks, radiofrequency ablation, joint injections (shoulder, hip, knee, etc. ), peripheral nerve blocks, spinal cord stimulation, trigger point injections, regenerative medicine, and many more. At Korunda Pain Relief, Their goal is to strive to deliver the highest quality of comprehensive care for those who are suffering from acute and chronic pain. They have many alternatives to help you with your personalized pain management needs. Please visit their website at www.korundapmc.com or call them at (239) 591-2803.